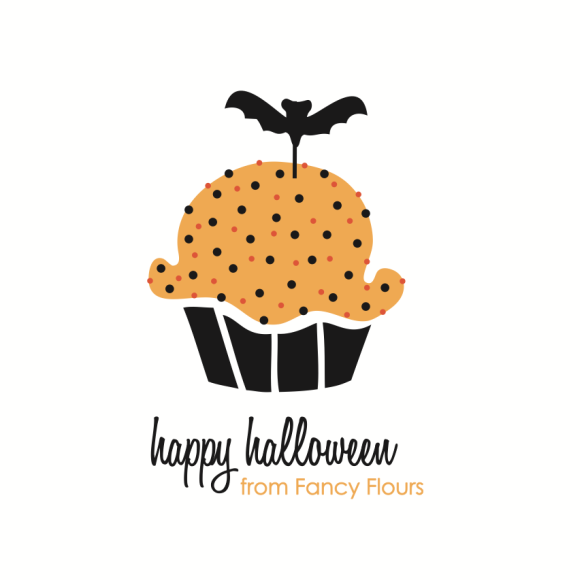 HAPPY HALLOWEEN from Fancy Flours! We hope you receive more treats than tricks tonight and please be safe out there. Today may be Halloween, but it is starting to feel a lot like Christmas here at Fancy Flours. Our new Holiday 2013 catalog has already started to hit mailboxes today, so we are officially in Christmas mode now! I must say our holidays get a little confusing around here ;). Sneak a peek at our new catalog here! Be sure to check your mailbox this weekend for your copy of our Holiday 2013 catalog. It’s full of everything wonderful…..cookie cutters, bakeware, decorating tools, partyware, edible wafer paper designs and great gift ideas for this holiday season! This entry was posted in Announcements, Christmas Baking Ideas, Halloween Baking by Fancy Flours. Bookmark the permalink.